I have always been one to choose savory over sweet. I can’t say the “bear” honey jar has ever made it into my cart at the grocery store, and when it came to breakfast, the last thing I ever wanted to pour over toast or in my tea was honey. This all changed for me last year—the first year Frontier RTP decided to bottle the honey produced from the Bee Downtown hives on campus—now I am a bee-liever! Our honey is sweet, but not too sweet, and I swear I can taste an earthy undertone from all the trees and greenery surrounding The Park. I am a fan of incorporating this honey into breakfast, lunch and dinner. Not only did we bottle up jars last year to pass out to our community, we also brewed a limited release beer! A really popular limited release beer. 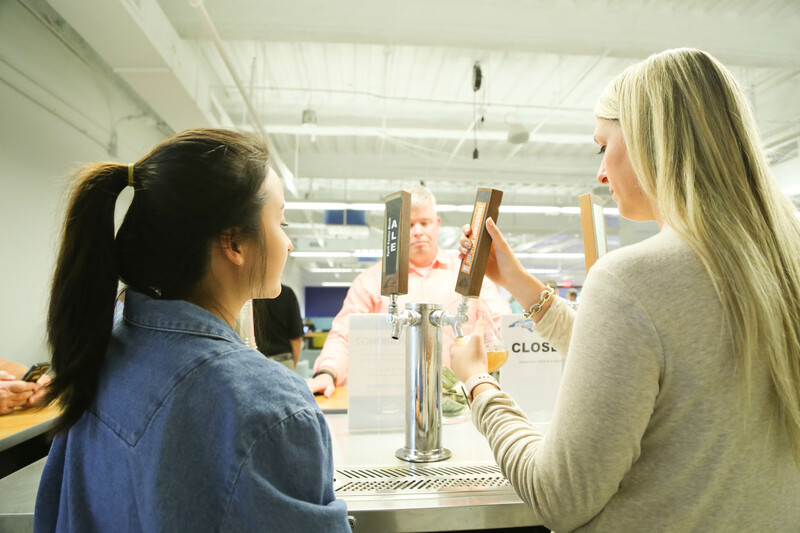 A limited release beer so popular, people still ask about at Happy Hour. So, this year when we got word from Ben Dictus and Scottie McLeod with Bee Downtown that despite it being a tough year for honey production and hive health, our busy bees produced 88lbs of honey in 2018, we knew what we had to do … BREW MORE BEER! It turns out that our hives consistently are among the top honey producers compared to their counterparts in the Triangle. We just can’t let all that hard work go to waste. 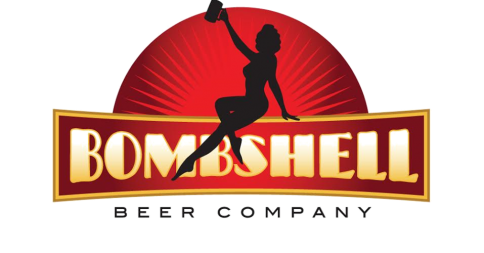 Bombshell Beer Company will be brewing a braggot-style beer. Braggot is a historical beer style and tends to vary a good bit. Generally, a Braggot Beer is highly carbonated- giving it a sparkling taste like Champagne. Unlike Champagne, these beers tend to be fuller in body and less dry. Honey drives the body and sweetness. These beers are light in color and low in bitterness. The honey used to brew the beer was harvested by Bee Downtown from three hives located on the Frontier RTP campus and three hives at RTP Headquarters at 12 Davis Drive. The plan is to use 100% North Carolina malted grains—and to that end, also sourced from The Triangle. The yeast will be sourced from a Triangle-based lab. Our name will be decided by popular vote. The name of the beer will be announced at our Honey Beer Launch Party March 28 from 4:30-6:30. So, flood us with ideas. Give us everything you got. We will accept comment suggestions on our Instagram, Twitter and Facebook pages all week. Once we have a good bank of names, we select the few that seem to fly to the top. After that, we will look to you all once again to vote for your favorite. Be sure to join us March 28 to taste the fruits of your labor, find out the winner, and meet the team behind it all! 2018 has been a huge year of growth for Bee Downtown. The Triangle has fostered us since the beginning and we are so thankful for every person and partner that has supported us along the way. We truly could not have done it without you all at RTP Frontier and RTP. We started with a team of two, led by Founder and CEO Leigh-Kathryn Bonner, and now have grown to a full-time team of 6, expanding our business to Atlanta, Georgia! With the help of Engage Ventures, we now have 50 hives with 9 businesses across the city. Some of our new partners include Cox Enterprises, AT&T, Delta, Intercontinental Exchange, Georgia Power, and more. We are currently working to expand our presence in Atlanta over the course of the following year! North Carolina will always be our home, and we are so grateful for this. 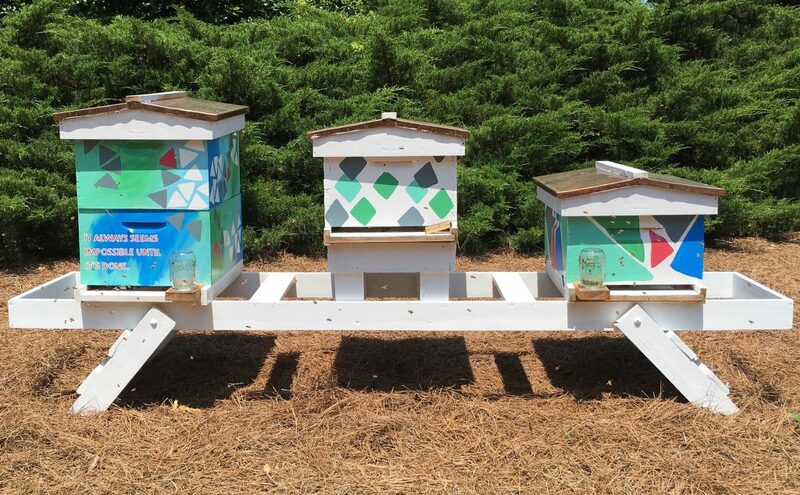 The Triangle has fostered Bee Downtown since the beginning!